Domino Bass, c1963. 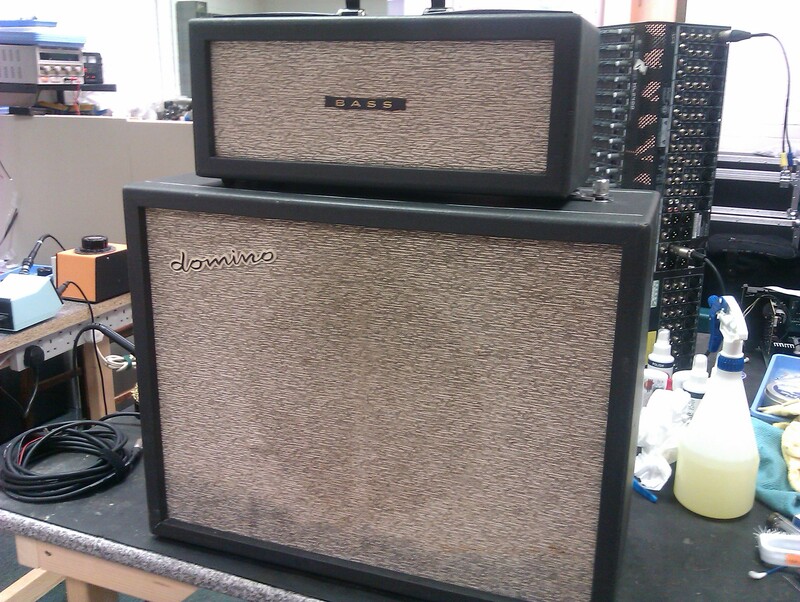 This amp was built by Jennings, as part of their “Domino” range. The amp is based on the Vox AC4, but has simpler tone circuitry and construction.